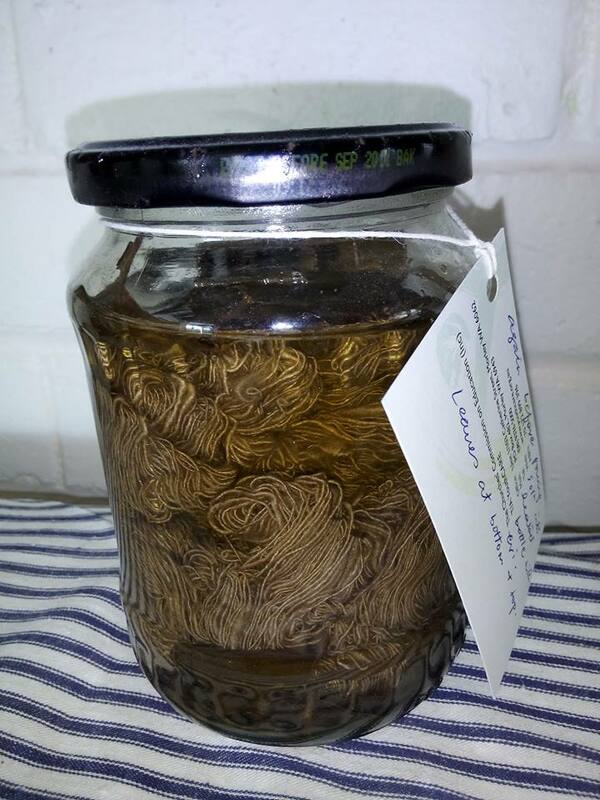 this is my stuffed, steeped and stored eri silk yarn in a solution of water and Chinese tallow leaves (Sapium sebiferum). This has been sitting for four weeks now. 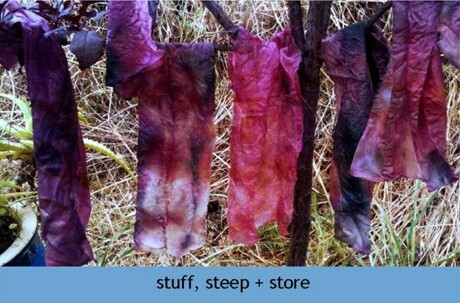 I’ll use the yarn for my next weaving project.